Innovative and ambitious start-up company within personal health technology seeks equally innovative Senior Software Developer. MONSENSO is a passionate team dedicated to designing innovative personal health technology that helps people, care providers and societies overcome the burden of men-tal illness. We are looking for an ambitious Senior Software Developer, who will be working with developing the Monsenso solution. As a software developer you will be a part of for the whole lifecycle of the development of a part of the solution – from requirement specification with clinicians and patients to final quality assurance and deployment – and you will be a part of a small team of software developers. We are looking for a mature person with an academic background in software engineering with extensive technical experience as a software developer, engineer or architect. You should have experience with applying agile software development processes as well as quality assurance methodology and technology. You should be a crystal clear and proactive communicator. We work with a wide range of languages, frameworks and technologies, including HTML, CSS, C#, Typescript, Java, Objective-C, Swift, Angular, Ionic, nodejs, NoSQL, etc. You will be a part of a team of 5 people, and therefore must be comfortable in both a management / planning role and a hands-on execution-focused role. We are agile in our development process, and use scrum-based methods. We offer a fantastic opportunity to join a young growth company, where you truly have the ability to make an impact and help shape the future in an exciting field. Very exciting IT position where you never know what the day will bring! Variability and responsibility is quite essential working conditions. 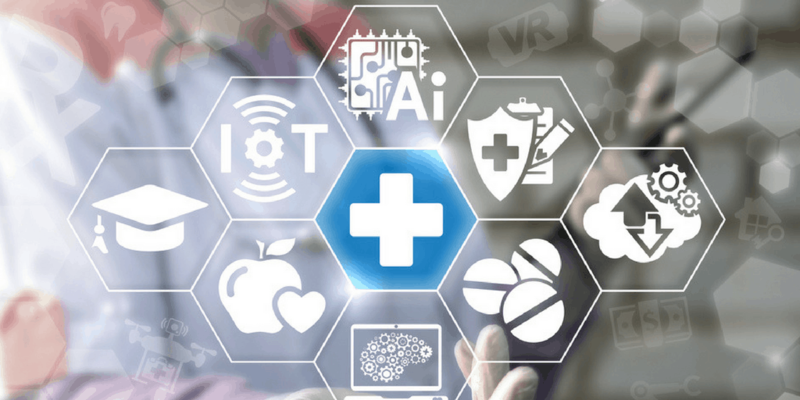 Personal health technology and mHealth are booming markets worldwide, and you will be at the center of this technology revolution. Mental health is as a major burden for society needing new solutions and ways of supporting treatment, and you will contribute to reducing this burden for the benefit of society and the people affected. You should expect an informal, fast-paced environment with tremendous opportunities for personal development for the right people. MONSENSO is an experienced team with a proven track record of designing innovative personal health technology for mental health. We believe in mutual collaboration be-tween patients, care providers and relatives and aim at empowering and inspiring them to engage in reaching a better mental health. MONSENSO was founded in 2013 based on extensive technological and clinical research in use of wireless and mobile technology for mental health. With strong dedication to user-centered innovation, the MONSENSO solution was designed to be easy to use for both patients and clinicians, while at the same time utilizing advances sensor technology for behavioral data sampling and analysis. Big data is transforming the treatment of mental disorders and the overall life science industry. Monsenso’s mHealth solution shows how technology provides new ways to inform treatment and achieve scalability. This is a guest blog written by Mads Frost is the PhD, co-founder and Chief Product Officer of Monsenso. According to numerous analyses and forecasts conducted by several international organizations and authorities, mental health today is one of the biggest challenges for society and health budgets. In fact, the World Health Organization (WHO) has predicted that mental disorders will be the greatest health burden for society in the coming years. This emphasizes the need for solutions to remedy this. Presently, technology is the best bet. An example of the utilisation of technology to help overcome the burden of mental health for society is Monsenso. Monsenso is an innovation leader in mHealth solutions for the treatment of mental disorders. Monsenso helps support the treatment of mental disorders by inspiring and strengthening cooperation between patients and therapists. Based on continuous research with leading experts in psychiatry, pervasive healthcare and data science, Monsenso has designed an innovative solution that fits into each patient’s life and helps them to better manage their disease as well as increasing the quality and effectiveness of treatment. It has been developed in a user-centred design approach, with patients, clinicians and relatives, to ensure that the solution is easy to apply and fits into the patient’s life and treatment. Through daily self-assessment, clinical questionnaires, and collection of behavioural data from both sensors in modern Smartphone, wearables, and even voice analyses of patients’ voices, Monsenso provides the patient and the therapist with a detailed insight into the user’s mental health state. Through the application of advanced data analysis, indicators such as behavioural patterns, contexts and even forecasting future conditions and risk levels can be demonstrated – all with the purpose of gaining better insight into the patient’s mental health and providing an improved basis for treatment. Paradigm shift in treatment: How do we achieve scalability? To achieve the benefits of technology, it is necessary to adapt the clinical workflows. Psychiatry has a very traditional form of treatment where the patient meets the therapist and receives face-to-face treatment. The future brings more patients and fewer therapists – how do we scale this? One possible solution is to optimising treatment is to use monitoring systems. These systems can rapidly identify which patients are in need of help, and which ones are well. In this way, clinicians’ time can be focused on patients who are in need. Likewise, the systems can be more treatment-supporting, taking over the trivial and automatable tasks of the clinician, allowing them to spend their time on those with the greatest needs – the complex cases that technology cannot help. The last perspective – a paradigm shift in treatment – is to go from a reactive to a proactive approach. The proactive approach comes from gathering more detailed information, to lead to more informed decisions and earlier interventions. More information can help immediately notify both patients and clinicians when things start to go in the wrong direction, and need help to prevent potential hospitalisations. And the patients, who are well, can focus on life and not illness. However, it is important to keep in mind that it is not a trivial task to realise this. Most of all, those who come from the outside into the healthcare domain must avoid the trap of seeing technology as something different from healthcare. Its greatest value will be how it integrates with healthcare systems and allows clinicians to provide better care for patients. In some cases, technology will appear illusory: Personal contact between patient and therapist will always have a place in treatment, but data driven approaches can revolutionise the basis on which treatment is given. There are many possibilities that presents itself when exploring data driven approaches. I have particularly emphasised ‘Context Aware Computing’ as one of the perspectives that are important to pursue. The goal is to use the context of the patients to provide the right intervention, to the right patient, at the right time, at the right place. This is not a trivial task, but extremely important for solutions like Monsenso to really help patients. The present systems are still relatively unintelligent in terms of achieving this, based on the amount of data available. It is difficult to know the context of what the collected data in the system is based on – what experiences and thoughts the patients have. Mads Frost will be speaking about Big Data & Life Science in Copenhagen on December 7th, Product Market Fit for Health Startups. Entrance is free. Click on the link to register and attend.